Castle Landscape View is part of an illustration I created on A2 Bockingford watercolour paper that was too large to be copied in its entirety via my scanner. It has been cropped and displayed as three separate entities titled; Robin Hood, Castle View, and Castle Landscape View, all of which are available for view in the Landscape section of this website. 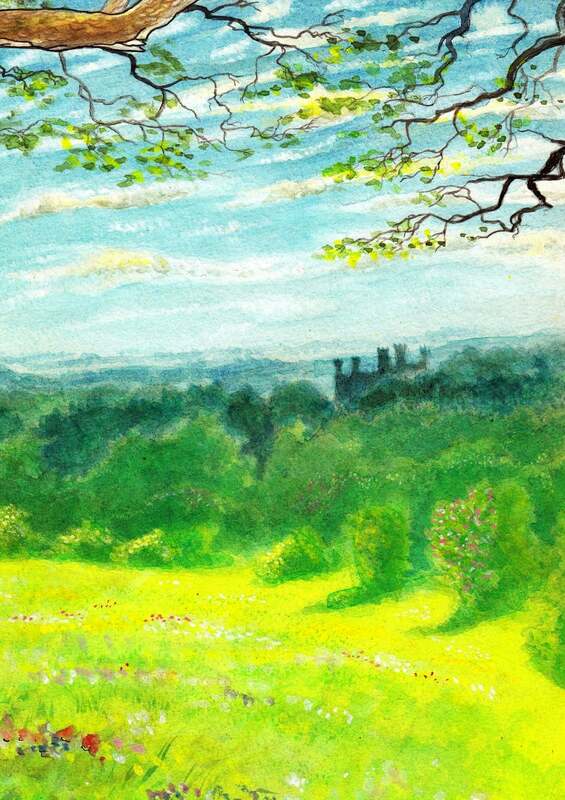 Painted in acrylic watercolours in 1983, the landscape shown here is an imaginary Heart of England forested landscape, with the Sheriff’s castle shown in silhouette.